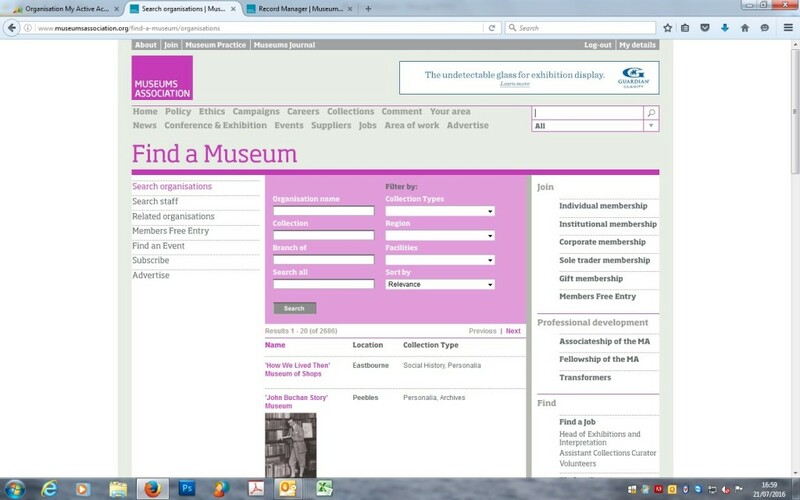 Earlier this year the Museums Association launched a new online database called Find a Museum. 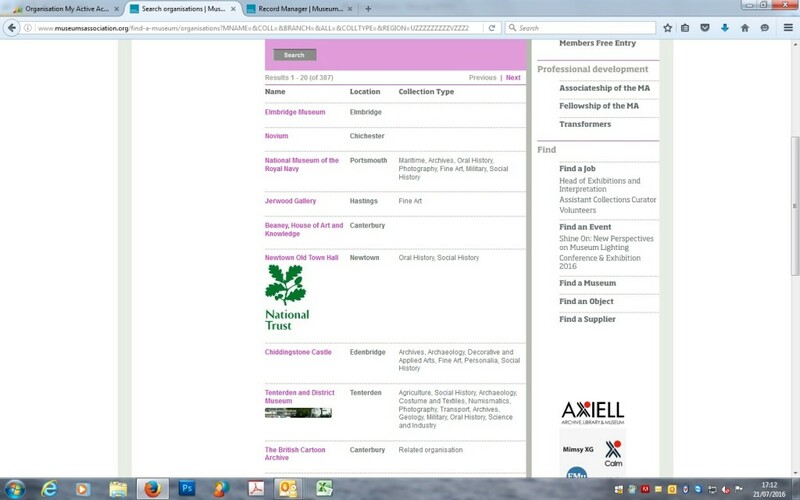 A valuable and useful online tool, it allows anyone working for an institution with membership of the Museums Association to search for information about other museums collections, find contact details for fellow museum professionals, search relevant academic courses and find qualified training providers. Emma Sumner: Could you explain what Find a Museum is and what those who have access to it can benefit from? ES: Why did the Museums Association feel this was a tool that was needed withing the sector? EM: Find a Museum is something that we have always produced, initially in a printed copy of the Museums & Galleries Yearbook. The online function has allowed people to filter their search by collection types, region etc which we think is more user friendly and is a quick go to guide at the touch of a button to find information on other museums. ES: Since it was launched, how have you seen it develop relationships between museums and perhaps what are some of the most successful connections it has created? EM: From user feedback we know that people like to find other members of staff with responsibility for similar collections or who have similar services and facilities at their museum. This can help with their research when putting on an exhibition, trying something new in their museum or for their own career development. ES: How do you see this tool developing in the future and does the Museum Association have any plans to develop its search potentials further? EM: We are looking at a web redesign at the moment and ideally we would like to develop and possibly link up some of our online functionalities, including Find a Museum. We would also like to develop Find a Museum further to help research areas such as the make-up of the workforce in the sector or get an idea of patterns in museum funding. To find further information and details on how to subscribe to Find a Museum, Click Here.